Welcome to Flipline Studios! Here you’ll find all our latest and greatest games for your entertainment. Play our brawler western game called Cactus McCoy. Try our classics like the 2D platformer adventure, Papa Louie 3: When Sundaes Attack! Or maybe try your hand at running a doughnut shop in Papa’s Donuteria or make cupcakes in Papa’s Cupcakeria! Looking for some serious crafting? Try our weapon shop game, Jacksmith! Try our newest Apps... Papa's Hot Doggeria To Go! 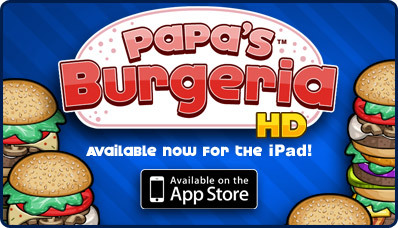 for mobile and Papa's Hot Doggeria HD for tablets! Create your own custom characters and scenes in our free app: Papa Louie Pals! 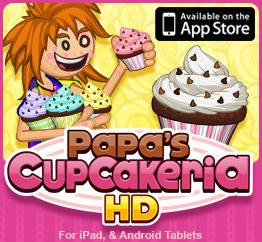 Try our latest game: Papa's Scooperia!